I’ll always remember a form hunched in a dark doorway — a bedraggled salt-and-pepper beard. Tiny eyes. Unseeing. Unspeaking. With teeth… An illusion of my fevered brain? A big fat baby that’d died and come back from hell? No, it was a man. It was a man, for God’s sake. A specimen of the Master Race. Henri’s wife, seated nearby, gazes at him and shrugs the slightest bit. During his first interview with Pierre and Manon, a husband-and-wife team of documentary filmmakers, Henri’s wife interrupted her husband’s intense report by passing around her home-made anise cookies. “It’s tricky talking about it now,” Henri continued then. “I have two sons who have no idea I was active in the Resistance. There’s a lot of reserve among former Resistance fighters.” It’s all the more reason that Pierre wants to get to the bottom of the story. His own father, just before he died, told Pierre he’d killed two Nazis, but said little more. It’s a history worth getting right, and our narrator in voice-over tells us that Manon works on Pierre’s project as script supervisor and editor. Manon herself is placed in the position of justifying her role to her mother, who wonders if Pierre’s films will ever come to anything. She quips that Manon threw away her chances of working as an interpreter when she dropped her classes in Oriental Studies: “No man could be worth sacrificing your life for him.” Yet Manon claims it’s a choice. “Working with the man you love — what could be better? We share projects. That’s our love.” Touché! But there’s a little kink in the plan. It’s a familiar story, the bohemian in the shabby French apartment clinging to the lifeline of his art. This one has a wife, but then he takes a mistress (also familiar enough) and not only that, the wife takes a lover in response (also not unheard of). And Philippe Garrel is certainly not the first to treat such a story. His last film was Jealousy, linked to the death of his father. Then a man came along who was producing for Barbet Schroeder — yes, the veteran of the Nouvelle Vague who started out with Six in Paris (Paris vu par…) — who offered to produce In the Shadow of Women. The rest is history, a very precise history, in fact, “history” inside of history, if we consider the documentary film within the film that we are watching. After all, Garrel’s film is two stories; they dovetail with each other and finally merge, but more than that, they give us a new New Wave film, one for the 21st century. Garrel has said that the subject of his film is the equivalency of the female libido with that of the male. Before we balk at such a notion, he also admits, “…the film is probably made from a man’s point of view, but a man who goes to see what is happening from a woman’s point of view.” In fact Garrel claims that In the Shadow of Women is linked to the death of his mother. That said, it is also inextricably linked to the art and practice of cinema: specifically, to artistic integrity and a work ethic. How to live a lie but work with ethics? It’s not just Pierre but also Henri who, as characters, let Garrel tackle this seemingly simple question. Hypocrisy and integrity collide like the best of car crashes from the nouvelle vague in Garrel’s scripting here, for which he deliberately included two women, his wife, Caroline Deruas, and Arlette Langmann (who had collaborated with him on Jealousy) and, for the first time, Jean-Claude Carrière, who added the concept of a structured narrative to the improvisation that had been Garrel’s former tool. The result is a two-for-one story with a third, outer shell, thrown in for the bargain. I don’t see it as austerity, but as the definition of what is most important to me. 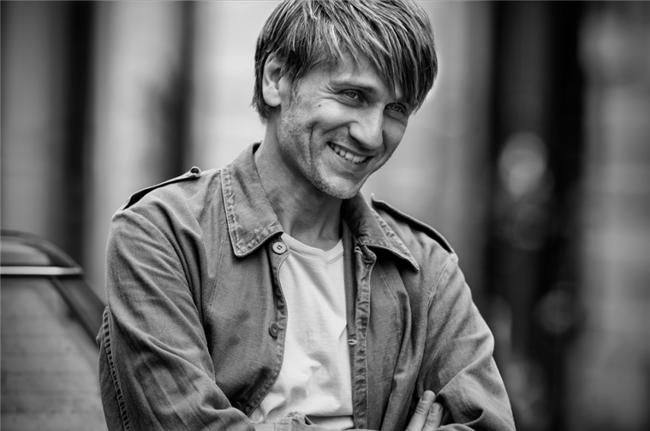 I shoot with the actors I want, with the technicians I want, we rehearse a lot, we film and edit in 35mm, in CinemaScope, in black and white. For me these are luxuries, but they are possible because they have their place within a framework which is very clearly defined with the producer… When I used to teach at the Conservatoire of Dramatic Arts, I was frightened by pupils who said that they were willing to die for art. I much prefer those who are willing to live for art. In a film whose major themes revolve around pretense, posing, and deliberate deceit, Garrel artfully plays with the illusions that are cinema. A mistress’s cell phone and a wife’s complaints about her husband’s reading of her text messages are the only clear signs of our times; otherwise, the location shooting in the streets, apartments, and cafés of Paris, the small-scale, intimate story of everyday life, and the premise that the personal is political are all harbingers of the New Wave era of Godard, Rohmer, and Truffaut. 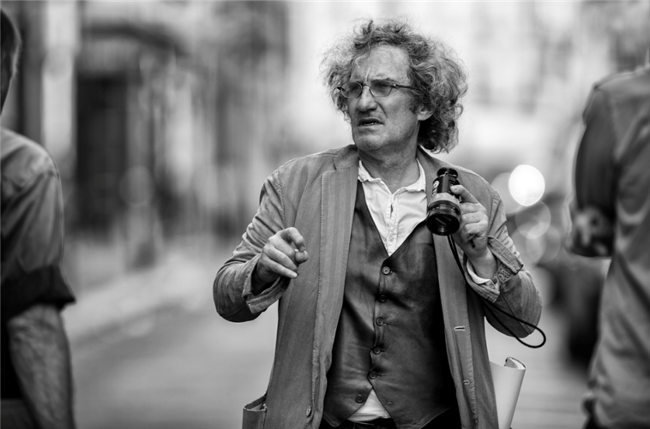 After all, that Garrel met Carrière, his co-writer, and Renato Berta, his director of photography, through Godard’s Every Man for Himself is not a coincidence; Garrel has been refining — and living — his post-New Wave insignia across nearly five decades now in making 30 features. And remarkably, that mode of production has not only held up but has re-surfaced as valid in recent economic recessions. Shooting quickly (in 21 days), in chronological order, most often in single takes of actors who are playing roles close to their own lives allows Garrel to accomplish his goals with half the average budget but incredible artistic freedom. He responds to that freedom in his “final cut” with an endless array of reminders of the ways and means of filmmaking, the actual “nuts and bolts” of the process, that liberate us, just as the Nouvelle Vague did, to make our own sense of the cinema, and in so doing, perhaps to make better sense of our lives. We’re struck early on with that Godardian voice-over narrator (spoken by Louis Garrel, the filmmaker’s son and frequent on-screen actor) who would seem to offer straight-up observations, but they often contradict each other with unwitting irony. They also speak once for the inner thoughts of Manon, and once again for those of Pierre. Sometimes they simply judge, and we can accept the interpretation or not. And right away we’re taken to the film archive where Pierre helps Elisabeth, the pretty intern there, to load the vestiges of a by-gone era — 35mm film canisters that hold the likes of what Garrel still uses today. At least twice our film cuts to a black screen, a thoroughly alienating device that disrupts the flow of the story, giving us the distance we need to take stock of the situation — in one case, the gap between the work of Pierre and Manon, literally hand-in-hand in the editing room, and his visit to Elisabeth, the history grad student who has become his maîtresse. The old Steenbeck editing table, where the filmmaking couple watches MOS images from the Resistance, is itself a holdover from earlier days of cinema. The footage without its soundtrack draws attention to the interpretive process of assembling the documentary film within our theatrical film, just as the simple gesture of Elisabeth dropping into a Photomaton (rather than taking a “selfie”) documents a moment of reflection and critique in her fallible love affair with Pierre. Does a picture “speak a thousand words” in a film, or can we be duped if we don’t pay attention to the fabrication in the process? Henri spills out endless heroics on camera, but maybe more to be trusted is Manon’s cringing, crying confession in face of Pierre’s accusation of infidelity. She told her mother months ago that Pierre’s special technique in pulling what he wants from his interview subjects is to curl back tacitly ‘til the point when they over-react to his unbearable silence and pour out far more than they need to say. Now we see the sulking, passive-aggressive ego in action: the naively honest Manon wears her heart on her shirtsleeve while her husband’s sense of entitlement won’t allow him to own up to his on-going deceit. The acting here, in a scene as old (but fresh) as French bread and as universal as love, is exceptional. Casting is everything; these thespians (Stanislas Merhar as Pierre, Clotilde Coureau as Manon, Lena Paugam as Elisabeth, Mounir Margoum as Fedir) have what it takes. But it also matters that the density of images — anthracite black, lustrous sunlight, and every shade in-between — glistens; not a glimmer of the banal, intimate life of the couples (there are actually four couples, counting Henri and his wife) goes unnoticed. And we are watching doubly, because it’s not just their romances that draw us in, but their romanticizing — of each other, of their work, and of the past, all bound together in one lively and loving cautionary tale as moral as any of Rohmer’s, as political as any of Godard’s, as mysterious as any of Chabrol’s, and as lyrical as any of Rivette’s. Splendidly scripted, memorably acted, ravishingly photographed, ingeniously directed, In the Shadow of Women is a pleasure to behold. Cast: Clotilde Courau, Stanislas Merhar, Lena Paugam, Vimala Pons, Antoinette Moya, Jean Pommier, Therese Quentin, Mounir Margoum, Louis Garrel. B/W, 35mm Wide Screen, 72 min. In French with English subtitles.